Some of the most highly sought homes for sale in Tallahassee are in neighborhoods that begin with "Betton." 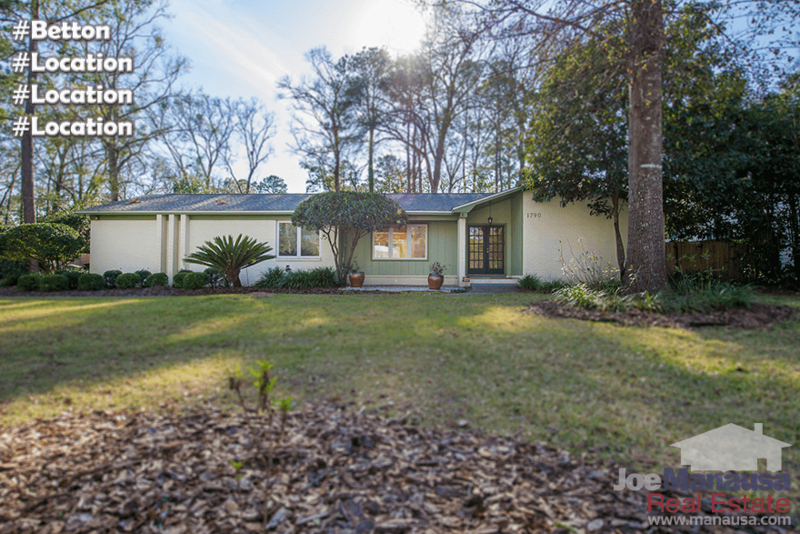 Located inside of I-10 in NE Tallahassee, Betton Estates, Betton Woods, Betton Hill, Betton Hills, Betton Oaks and Betton Place have been very popular for nearly 100 years. It is important to note that the narrative contained below is for sales through December for all previous years, and through the third week of February for 2017. 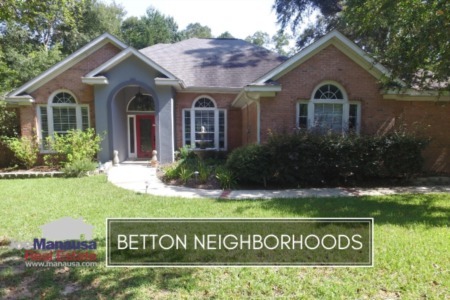 The graphs and the closed sales table will be continuously updated into the future (meaning bookmark this page if you always want to know the current status of homes in any of the Betton neighborhoods). Betton area home prices continue to rise. The 4 closed home sales thus far in 2017 have an average home sales price of $339K, which is just 5.7% lower than the average prices recorded in 2007 at the peak of the housing market. The 50 home sales in 2016 represent a healthy number of sales for the Betton neighborhoods. Slightly above the 2015 numbers and a bit lower than the two years prior to that, but strong sales will continue for these high-demand locations. Currently there are 17 homes for sale in the Betton neighborhoods and 41% of them (7) are currently under contract. 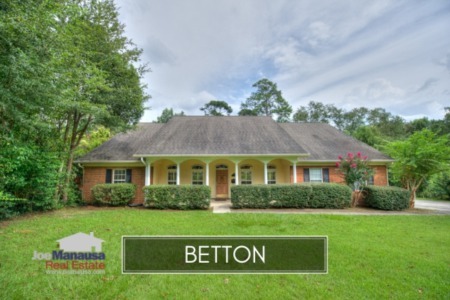 We've sold our Betton listings as fast as they've come on the market, so I'm no longer concerned about Betton homeowners being able to sell their homes when they want to move. Average home values in the Betton neighborhoods rose 4% in 2016, but thus far in 2017 they have shot 13% higher! Expect a big year for homes in these neighborhoods, as the inventory will not be high enough to meet the demand. The average value of a home sold in the Betton area so far in 2016 has been $147 per square foot, up more than 13% versus last year's average. The average home size sold in Betton typically falls in a range of 2,000 to 2,300 square feet, but the past three years have seen buyers grabbing the bigger homes. That trend has continued into 2017, as the average size of a home sold in a Betton community is 2,303 square feet. The following list shows nearly 1,300 home sales in the Betton area going back to 1991. I hope you enjoyed our February 2017 update on home sales in the Betton area, please CONTACT ME DIRECTLY if you have questions not covered in this report.